. I started my fishing adventure with preying fish in 1988. At first, I angled with different techniques but now I catch fish with artificial bait only. I caught my first big sander in 1993 in the Avon river. Now, I specialize in fishing this prey fish. I have been a fishing guide for several years. 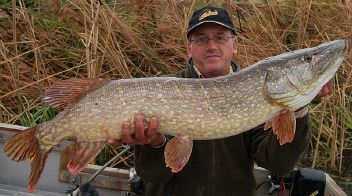 Being a guide, I’ve had the chance to take numerous anglers to the trips of their lives to look for sander and pike. 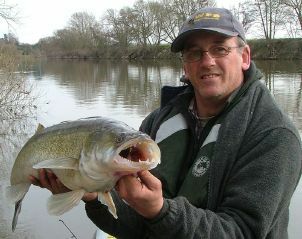 I fish regularly on the Severn and Avon rivers and I know them by heart. 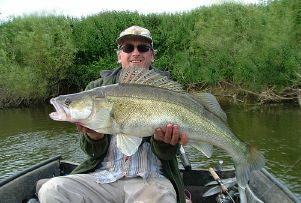 During our joint trips, the anglers may use their own baits or models which proved good as well as ones borrowed from me. I always make my best to make the trips with me successful and unforgettable. I invite all anglers, no matter what their experience and fishing knowledge, total green horns and professionals. In my fisheries, we mainly use spinning or trolling. Moreover, I take vertical sets to catch sander. Depending on the prey fish, I use different types of artificial baits. Be my guest at our common fishing! The Severn river starts its flow in Northern Wales and goes into the sea close to Bristol. When it’s strongly raining in Wales mountains, the river rises fast. This is also the reason why its bottom is very attractive and differentiated. There are both big stones on the bottom as well as clay chunks, fallen trees and roots of nearby trees. In many places, the current is strong, and when it rises, it makes interesting spots. You fish for big pike and sander in the river. The British record for sander was hit exactly at this river. The biggest preying fish was caught in 2008. The Avon river on the other hand is Severn’s tributary. Avon flows through north-eastern Midlands. The river joins Severn near Tewkesbury. The water in Avon is more transparent then in Severn. While Severn rises and gets inaccessible, Avon becomes a better and safer fishery. It’s a river where you can actively fish for pike, sander or perch.